Before we can understand some examples of upcoming Foods for man's es that are coming to man in Kosmon, we need first understand more clearly what is meant by Mind, Spirit, Soul, and Form. Perhaps the best way to gain an understanding of those realities is to perceive how they were developed within man prior to Kosmon's Time. Then to explore in general terms what is coming forth in Kosmon as a result of that preparation by Jehovih's kingdom of God. That way, we should be ready to more fully comprehend the coming foods. In this time of Kosmon, man is being taught how to wisely choose the type of food to feed the mind, spirit, soul, and body. Yet, his present capacity to learn those things came about neither through happenstance nor suddenly. But Jehovih's kingdom through His God and hosts raised man up, induced man to rise. Man of course had to put forth his own effort in assistance to that end. From the start, man's capacity for perceiving the foods for his Mind, Spirit, Soul, and Body resided with the I'hins. Gradually and after much hard work and many setbacks, the angels of Jehovih developed that capacity within the race (branch) of man that would become the race of man as everyone in the world is today. Toward the end of the Time of Seffas, via the sixth era (6th square; dan'has of Osiris through Lika), Jehovih's kingdom developed within man his ability to discern Mind, then Spirit, then Soul, and afterward, to integrate them into a desirable form (Body). Each of those four would in turn be quickened and developed in a dan'ha cycle: Osiris -- man's mind; Fragapatti -- man's spirit; Cpenta-armij -- man's soul; Lika -- man's form. At the start of each dan'ha, angels would introduce man to the existence, desirability, height or rather the possibilities of one of his members -- Mind, Spirit, Soul, Form (Body). An important part of those 6th era teachings was for man to grow in his desire to feed the higher aspects -- es aspects in contrast to the corporeal aspects -- of these four parts of man. But first man had to explore each member in depth and extent to find its lower limits. It is for man in Kosmon to find and explore the heights and reach of its upper limits (hint, they're virtually limitless), and then afterward to decide the practical limits. Nevertheless, according to his capacity to comprehend, man was introduced to some higher aspects at the start of each of the four mentioned Seffas dan'has. During the cycle of Osiris, Son of Jehovih (3300 yrs: 12,200 years Before Kosmon to 8900 yrs BK), the time had come for the quickening of man's mind. This can be read about, for instance, in Oahspe's Book of Fragapatti (see, e.g., 18/13.7). In that dan'ha cycle, man developed a more or less sophisticated system of logic and the ability to reason. Again, this did not develop out of nothing, but foundations had been laid with the simple logic via the Gau language which was developed during the Apollo cycle, two dan'has before. As Gau language spread with the Ghans, far-flung tribes of man adopted it, modifying it as they adapted to it from their earlier Panic languages. Not unlike modern pidgin English, that process in due course lost, to some extent, some of the finer nuances of the Gau language. This loss occurred especially during the Hyartien period (a cyclical time of dan'ha darkness of varying duration). Thus the language following Gau (as seen on the Tree of Language) was Hiut. It, being thus an acquiesced language, had the effect of cutting the logic of Gau from its moorings (groundedness; perspective). This floating effect particularly intensified during that dan'ha's cyclical rise of light (about 600 years duration prior to the next dawn) of Apollo's 2800 years, when man began fussing around with his language, attempting to expand it. Man at the time of Thor lacked what we would call a process of reaching valid logical conclusions. If man perceived a link between any two things, then that in itself was truth. --- For instance, if a man were thinking of, say, Apollo when an apple fell on his head, then the link between Apollo and the apple hitting him, might draw him to the conclusion that Apollo was out to war against him, or maybe even against all mankind. But if he later saw an apple fall on Thor's hammer (a symbol of industry) resting upon the altar, he might conclude that Apollo was at war with Thor. Such a way of reaching conclusions is today labeled superstition. But to man in the cycle of Thor, the art of drawing conclusions was all a mystery. And because man would often see his conclusions proved wrong, this led him to both consternation and consequently, after an alleviating inspiration from Jehovih's angels, a desire to know how to arrive at correct conclusions. Thus the conditions were set for the arrival of Osiris, Son of Jehovih, in the arc of Dae, who gave to man the necessary and dependable framework from which to draw valid conclusions. This gave man the foundation for science. (This can be read about in Oahspe's Book of Osiris.) Yet man did not stop there, for in his inherited spirit of adventure, man would venture beyond his own immediate grasp of reality and understanding by using the rules of logic. Indeed, we could call the cycle of Osire, the cycle of the foundation of both science and philosophy (see, e.g., 18/12.1-5 and 18/13.7 --Book of Osiris). Nevertheless, man was taught of the Great Spirit in Osire's cycle, at least in the early part of the cycle (see, e.g., 19/1.3-13 --Lords' Fifth Book). Thus it was that the person of man (i.e., collective man) was brought to the Foundation of his Mind. For, as Etherea is the playground / gymnasium of the soul (being the place propitious for its development), and Atmospherea the playground / gymnasium of the Spirit (being the place, etc. ), and the Womb* is the playground / gymnasium for Form (Body) (being the...etc. ), so is Corporea (the corporeal creation) the playground of the Mind (being the place propitious for its development). *Following birth, form continues to develop as Mother Earth's womb provides for developing form during mortality (i.e., learning to walk, to speak, developing muscular strength and control, etc.). In the cyclical rise of light toward the end of the Osirian dan'ha cycle, man sought for the All Highest wisdom. What had prompted this was the great proliferation of philosophies, all of which were contradictory in some way to one another. This resulted in man becoming befuddled as to which was the highest philosophy conducive to wisely govern and live within a social order, which at that time were kingdoms (nevertheless, the I'hins and Faithists lived in families and communities). But man needed a standard / framework / something to measure his conclusions against because he kept getting stumped as to the All Highest philosophy. Part of the problem was that the framework he had, being based in the corporeal nature of things, was insufficient and thus could not support his wholistic developmental needs. Yet it was not the Framework itself that was lacking; but because of his darkness, man himself was limited as to how that Framework could be more fully understood. 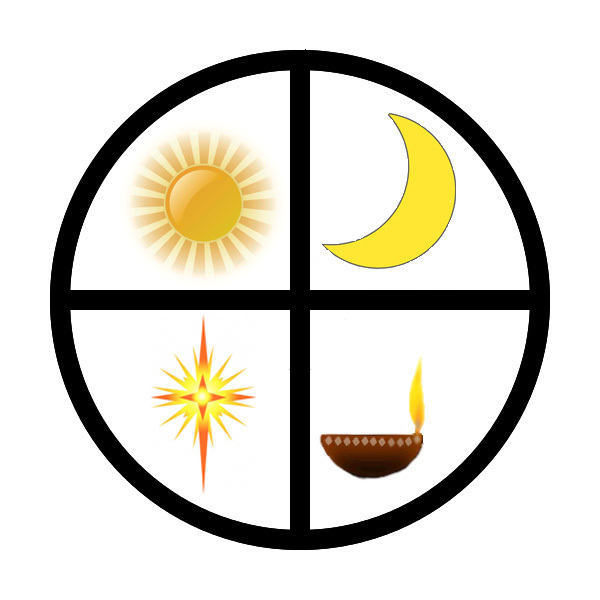 That is, the basis for man using that Framework was that the Onk (Zodiac) and the heavenly lights (sun, moon, stars, and planets) could be used to time occurrences on earth. Yet man's adventuresome and seeking spirit (well inspired by Jehovih's angels) led him to believe that there must be more to the Zodiac and the stars than simply being a cosmic clock. It must have unseen powers of some sort that man had yet to realize. Of course those supposed unseen powers were thought to be corporeal in nature. So man remained confounded, particularly so because his presumptions about what could be read from the Cosmic clock were tricky beyond the basics of knowing when to sow and reap. The highest of the learned men began to become skeptical regarding the Framework, suspecting it was not the All Highest. So man sought for the All Highest philosophy that would give him the answers he sought. With the cycle of Fragapatti (8952 to 5852 BK, being 3100 years), Zarathustra taught man that the All Highest was not found in corpor but in the unseen spirit, and specifically in the Great Spirit, called Or'mazd, meaning Master of All Light, i.e., Wisdom. Wisdom means Wise Dominion. Knowledge is only one part of Wise dominion / Wisdom; Experience is another essential part; Practice is a third; Mind, another; Understanding (an attribute of Intelligence or Mind, still another; Spirit yet another. Light attends / accompanies Wisdom. And wisdom, aside from being a reality, is an expression; and expression is an attribute of spirit, which we may partly define as a continuous outflow of expression. This is especially evident when the spirit / person is going forth. When the spirit is receiving the spirit becomes an inner glow. The fact that you can see the glow is evidence that spirit is emitting, i.e., expressing. That outflow can thus be very subtle. In any case, whether a person / spirit is in quiet mood or is engaged in industry, that spirit is emitting Vas (atmospherean light), colored by that person's spirit. It is also the spirit that densifies or rarefies the expression, and changes its amplitude and message (impression). When the spirit is in receptive mode, the person when being observed becomes aware of being observed. Of course those in sufficient darkness can be unaware that they are being watched, either because their mind is being distracted, or because the incoming vortexya from the observer's eyes is not penetrating the darkness of substance surrounding the soul of the observed. In either case, the soul is aware of the incoming vortexya, but then, most mortals are not much aware of their souls as we shall see. And that lack of conscious awareness is true even though indeed they may subconsciously react to the vortexya. This is particularly true of those who eat flesh. In the past many spirits in heaven could live there a long time before awakening to their soul. In Kosmon, the time is coming when such angels will not be in numerical ascendancy. Yet before such things of the soul could be discerned by man, he needed to first become aware of spirit. Spirit must be included in Wise Dominion / Wisdom because ignoring Spirit necessarily leads to ignoring the Soul; and to ignore the Soul means it cannot provide food for the higher Mind, whether for others or for one's own person. For it is the rising soul that feeds the mind with substantial substance from below. That food, that substantial substance, is soul substance filled with, and therefore illumed by, Ruch (soul light). As a parallel, think of a child who in fullness of heart and soul, innocently speaks something both unexpected and astute that causes the adults to smile, giving them food for thought along with a renewed sense of appreciation, and a refreshing of their desire to further provide for the child --- thus fulfilling the heavenly way of life with its reciprocity between those above lifting (providing for) those below and those below rising (in their various fulfillments) to those above. Likewise, the Ruch (soul light with its illuminated soul substance) of newborn souls (emancipated souls) entering etherea as brides and bridegrooms, provide nourishment and refreshment to the attending ethereans. The radiating of individual pure substance arising from the unique soul configurations (forms) combined with the perceptions (mind), and expressions (spirit) of these brides and bridegrooms, automatically imparts the Ruch whatever quality it may be. That Ruch of these new budding souls ready for development, is what feeds the minds, spirits, and especially the souls of the ethereans. Think of, for instance, the Feast of the Arc of Spe-ta; the reciprocity of which is perhaps most clearly expressed in 23/11.8 and 23/11.14 --Book of Cpenta-armij. For mortals, perception of and developing of the talent of su'is (perceiving spirit) must precede the perception of and talent of ethe (perceiving etherea). Similarly, so knowledge of Spirit must precede knowledge of Soul. It was the labor of the Fragapatti cycle to provide for that knowledge of spirit and its development. Man, upon learning about spirit, was further taught that the es / spirit, being unseen, ruled over corpor, being that which is seen; and moreover that man could prove this to his own satisfaction. Accordingly, we see man given many opportunities in the Fragapatti cycle to prove this power of spirit, whether through the higher way or through the lower way. For the higher way, see, e.g., the Sun Degree Ceremony of Chine and Zerl in Oahspe's Saphah 35/S. For the lower way, see, e.g., Baugh‑Ghan‑Ghad in Oahspe's Saphah 35/X. This is one reason why the Baugh-Ghan-Ghad Tablet and Ceremony, that dark episode of man's life, was included in the Oahspe --- so that the Kosmon man might better understand the depths the beast in man would descend to, indeed the depths that were necessary to prove the power of spirit to the beast in man. And from that day to this, the beast in man, loving power as he does has kept remnants of both of these ceremonies to this day. Jehovih suffered this to endure to the time of Kosmon so that man could still provide proof of his own power of spirit (will power). For example, a remnant of the Sun ceremony is still practiced by some Guataman people. And as to the other ritual, although man in early kosmon has made illegal most aspects of the Baugh-ghan-ghan ceremony, yet parts persist in symbolic form, as in, for example, the Christian's so-called sacrament of Holy Communion (aka Eucharist). But most derivatives of the original ceremonies are not so blatant. For instance, many cultures have looked upon bravery as being able to withstand pain without complaint, in the philosophy of stoicism, for example. But making a virtue of such spirit power as Baugh-Ghan-Ghad had is also common in places such as where there is war or where there are standing armies with professional soldiers. Moreover, beastly money-getters and tyrants also make use of that spirit by demanding often extreme sacrifice from their underlings and from the social order at large and expecting them to bear up under it so that the leader/s can grow in power (and maybe some will trickle down). But such blatant practice and abuse of spirit power shall end in the coming decades. The tipping point will have been reached certainly by 2028-2032 according to the cycles. But even if Jehovih in His wisdom perceives it wise to suffer it to continue a while beyond that --- still, there is no doubt that such practices shall fall aside through attrition if nothing else. For, the coming light (especially that of the 2049 ce Dan) is causing man to desire to prove spirit power in a different way, manifesting in the power to do good, to create good, and to live in goodness (which is another name for wholesomeness). Thus, spirit power will be considered as something akin to what Osire, Son of Jehovih, could do, or as Fragapatti displayed in delivering the hells of Aoasu, or even as the ashars who guard their wards day and night, inspiring them in the ways of Jehovih, enduring without complaint, even though the mortals' growth is at a snail's pace. Or in many innumerable ways, man will display his power of spirit without resorting to extreme measures as to his own physical body. And this brings us to the next dan'ha, that of Cpenta-armij, so we may see how man is going to ultimately arrive at the possibilities alluded to. The problem with accumulating power is once you have it, what do you do with it? As it turns out, the Soul informs man in that regard. Some might believe that it is the mind that tells man what to do, but as we shall see, it is the soul that informs the mind which then makes decisions. By listening to his soul, man learns what to do, that is, how he must proceed if he would see his idea / ideal substantiate into a reality. But the soul appears to have two voices. The Voice of Jehovih and the voice of satan. The Voice of Jehovih speaks through the soul substance and illuminates via Ruch (soul light). Man can thus either hear Jehovih directly or not --and His Voice is unmistakable, like a thousand rivers flowing through and carrying one's soul (i.e., all base vortexya whatsoever aligns with the flow of His Voice, and all fibers of your being, align with the flow while you / your spark of light stands rooted rapt in attention and communion). Man can also feel His Presence and recognize Him as the source of Love. Alternatively one can perceive Him through His creation, by seeing His Hand at work or in perceiving His Eye gaze upon you. Indirectly, you can see His light and receive impressions, signs and presentiments from Jehovih or from His hosts and respond accordingly. Similarly man can either hear, as he would hear a man speak, the voice of satan in his soul speak out of the coalescence of the dark soul substance; or man can view via his soul light (whatever of it that he has, whether inherited or formerly built up by his own good works) and receive impressions, signs and presentiments from the beast, and react accordingly. To start Spe-ta in the path of soul light were Po, Abram, Brahma, and Eawahtah --- all great Leadersforth for the Faithists who worshipped none other than the Great Spirit. Through these four men the Gods established in great depth the Light of Jehovih within the soul of man. This great depth was necessary because of the coming darkness (ethe'ic solution) upon the earth for nearly all of the Spe-ta dan'ha of 2400 years. The darkness, as we shall see, was necessary for the bulk of humanity to each perceive their own soul or at least the soul substance within themselves and to respond and nurture it. We shall see how shortly. As to the Faithists, they also labored from their soul, but in the light and for the light, that is, for Jehovih's sake. As to man's response or reaction to the light of the soul, Jehovih through His kingdom provided angel hosts. But those who instead favored satan, so evil spirits and sundry spirits of darkness came and inspired them to self-serving ends which ultimated in pain, suffering, sometimes hell and sometimes knots. In contrast, those who instead hearkened to the soul light and the voice of Jehovih were readily and easily attended by and inspired by Jehovih's hosts. Oahspe Image; i077 The Earth in Kas'kak. Kas'kak began some 400 years into Spe-ta and endured past the dan at 600 years. It was the first a'ji upon the earth in the Spe-ta cycle. Prior to that were 400 years of Great Light during which time war ceased and there were no poor. But the extended light enabled conceit to arise from its lowly hidden places to an unsurpassed audacity. Consider in that regard the effect Anuhasaj had on the world: As the first false Lord God --- the Lucifer (literally, person of light) who fell from his high position of trust in God's heaven, to become the De'yus, aka Zeus, Deuce, Dios, and similar names --- so deeply self-confident had he become in his own abilities, so adamantine in self-conceit, that Oahspe describes him as the most audacious God the world had seen (26/16.3 --Book of Lika; 25/41.1; 25/18.3 --Book of Wars). So great had been his conceit that it inspired his underlings to also rise mightily in their own conceits and flourish while taking advantage of the overly abundant a'ji. Because the spirit of the beast in the highest positions always turn those beasts beneath them to emulate them, so this self-satisfied conceit worked its way down even to mortals and their own beastly nature, which the falling a'ji was feeding. But as it also fed the lower grade spirits, who, with their conceit coupled with the falling a'ji that easily fed them, began as well to become audacious. Accordingly, at 400 years into Spe-ta, discipline, system and order began breaking down in heaven. For, while generally it collectively takes mortals 66 years of falling a'ji before they will plunge into war (see, e.g., 38/8.9), often for greed's sake, yet it takes comparatively no time at all for low-grade angels to become a trial to their officers, even moving to anarchy. That quickness happens because the falling a'ji removes a strong incentive of the lower grades to work. Namely, because the falling a'ji provides the lower grades with food (sustenance) so it removes the need to gather food or to receive food in exchange (as a reward) for work. For, a'ji has mostly the corpor component and relatively little ethe in it (recall that a'ji is semi-dark), and in normal times such food is brought up from the earth. Now instead, the lower grades were being fed from falling a'ji, which tends toward anarchy among the lowest grades, especially so when the flame of man's conceit is fanned. Adding to the problem in Spe-ta was the fact that force could no longer be used to arrest wayward spirits, and thus order was not so easily restored with subtler methods of persuasion, attraction, incentives, etc. But note in the Kas'kak caption the final sentence regarding the great pyramid. Since the great pyramid was constructed near the end of the dan'ha cycle when under ji'ay pressure from Tu'e'vraga, so we can understand that Kas'kak was only the first of a series of heavenly conditions of darkness, but that the atmospherean milieu of darkness essentially endured through the remainder of Spe-ta. And because of the more or less constant presence of a dark atmospherean milieu, so, to find any spiritual light at all, man was forced to look inside himself to his own soul ------ being the soul light placed there at (and maintained by) the arc of Spe-ta. The arc initially pierced the earth at the time when Brahma (grade 99) and Yu-tiv were resurrected, so that the light of Spe-ta was established in the earth and then carried upward; see, e.g., 23/12.10, 13, 14. Oahspe, Book of Cpenta-armij; 23/12.10, 13, 14. [Jehovih:] ...Yes, My Light‑makers shall plant the staff of My holy fire in the throne of Craoshivi, and the foot of the staff shall pierce the earth in the land of Vindâ€™yu, to receive and deliver My earth Son, Brahma. Behold, to a child, only one lesson a day is given; to a youth, two lessons a day; and to a mature adult, many lessons a day; likewise in the early creation of man, I give few lessons; then in the youthful age of the race, many more lessons; but when the race has attained to full adulthood, behold, I lay My light at their feet, so that they may take My lessons every day. In one age I send the angels of the dead to lead man up to a knowledge of Me and My places; but when man has attained to think for himself, I set up My arc of Spe‑ta; and it is like a candle in the firmament of heaven, from which My Light falls upon the soul of My people, without any interpreter, except My Own Voice. Another reaction from a'ji is that it becomes easier for spirits of darkness and evil to inspire mortals. This is because evil spirits often prefer to hide in darkness, and its thickness allows the substance to closer match that of corporeal man (recall that atmospherea can be condensed into corporeal form), and thus easier for the evil spirit to inspire man. Moreover, where man allows the spiritual milieu of darkness to persuade him, so his actions create darkness, resulting in his soul light becoming ever more difficult for him to discern. Thus when Jehovih spoke to man's soul, man did not hear it directly because of the darkness in his soul. Rather, the light from the Voice illuminated the darkness, so that even as a street lamp will illume a small area of ground, so from his soul, dark though it might be, a person could see a small way but was generally short-sighted in that regard because of the limiting darkness. Yet because of the light in his soul, diminished though it may have been, such a person would thus catch a glimpse of truth, though vague, distorted, short-sighted, and worldly. Because of that glimpse, man would begin to grow in conceit. And that was because he could " see!" and "know!" the truth --- while unbeknownst to him, he was only seeing dimly a short distance around him, and thus only had a germ of truth or a partial truth --- but it was truth nonetheless, albeit in some limited way. Part 4 of this series will follow with The Birth and Growth of Soul Knowledge which propounds upon the man's development in discerning the light of the soul.